I can’t believe Turkey day has come and gone, and now it’s already December 12th? Where has the time gone? 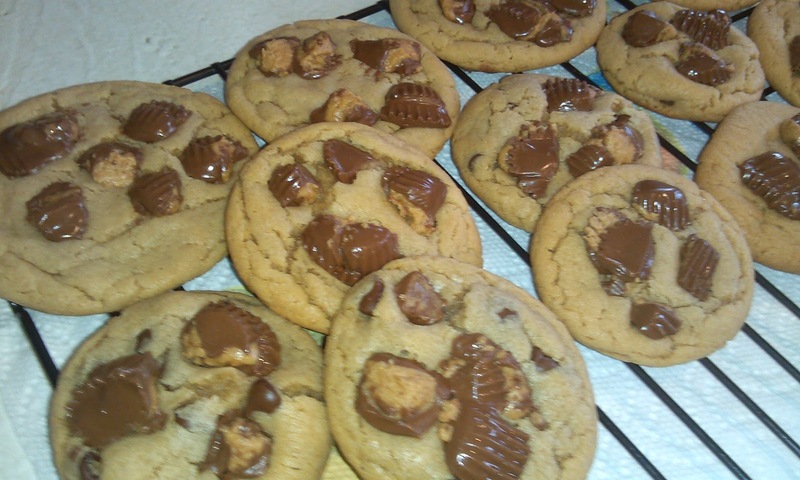 It’s just crazy-nonetheless, I want to talk about my Thanksgiving cookies that I made and brought to my parents house in Virginia for Thanksgiving which featured me and my hubby’s favorite candy, Reese’s Peanut butter cups! These were super simple using my handy dandy kitchen aid mixer, the hardest part was keeping my hubby from eating the Reese’s candies that were all unwrapped! I made a variation of sizes with these and were super fun to share and eat with our family. Couple these bad boys with some Paula Deen Ooey Gooey Butter Cookies and everyone will be smacking their sugary lips applauding your baking skills! Remove cookies from oven and lightly press 8 cut up pieces of the Reese’s peanut butter cups over the top of each cookie. Cool on baking sheet 2 minutes before placing on cooling rack. Makes 18 big cookies. 4. 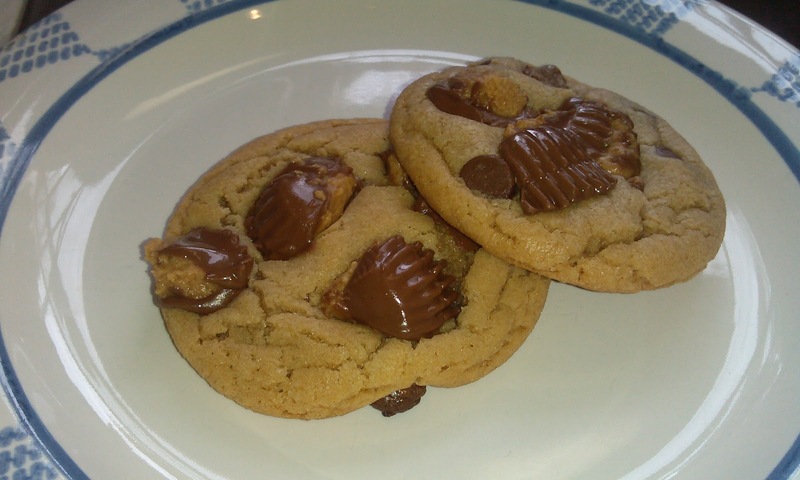 Variation: you can also use mini or regular M&M pieces or any other chocolate favorite candy of yours in place of the Reese’s pieces. **if you don’t want big cookies, just use a melon baller and make smaller cookies and then you will have more to nibble on and share. Up to you!